Creative Media Publishing, 9781938438257, 72pp. All-Star, Gold Glove Winner and Silver Slugger Outfielder Matt Kemp is one of the most successful players in Los Angeles Dodgers history. A five-tool player, the star athlete excels at hitting for average, power, baserunning, throwing, and fielding. He is also one of the most respected and beloved athletes of his generation. A children's biography, Matt Kemp: True Blue Baseball Star chronicles the life story of the baseball superstar. Young readers will be inspired to read the tale of how the talented kid from Oklahoma overcame family struggles to become an upstanding role model and All-Star slugger. 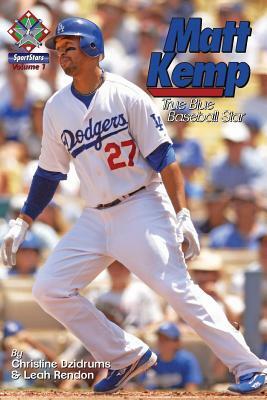 The King of Chavez Ravine, Matt Kemp will inspire young readers of all ages.